FUE (follicular unit excision) is the latest method of hair transplant and the one most favoured by celebrities. With the FUE method, the donor hairs are taken out with a small diameter punch drill. The resulting defects are very small and can be allowed to heal on their own – with no stitching necessary. 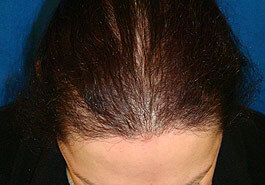 Prior to FUE, hair transplants were commonly done by the Follicular Unit Transplant (FUT) method. This method of hair transplant is still used where a large amount of hair is transplanted and available at Cellite Clinic. Hardly visible scars. After FUT, it is recommended that the shortest hair cut is number four so that the remaining hair can cover the scars. However, most FUE patients can shave their head with no visible scars. No cutting. The donor hairs in FUE hair transplant are taken out with a small punch drill. Healing time is much shorter. No stitching. Therefore the recovery period is much more comfortable. 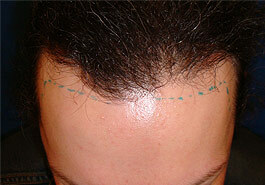 FUE can be used to reduce the appearance of the scars left by earlier FUT method. FUT is a quicker procedure and therefore in one session a larger number of grafts can be extracted and transplanted in one session. Surgical fee (per graft) is lower for FUT because it can be done faster. No need to shave bald before the surgery. After the FUE hair transplant surgery, it is recommended that the patient be picked up to go home. We advise taking two weeks off work to let the treated areas heal properly so that the surgery can be undetected. We also advice our patients to sleep for a week reclined on the sofa with a neck support so as not to put pressure on the recipient area, not to let the scalp get wet for 4 days and no exercise for 2 weeks after the surgery. The results of the surgery should start to be noticeable after about 4 months but better results can be seen 12 months after the surgery. Who is ideal candidate for FUE hair transplant? FUE is ideal for those who want hair transplant for small areas because it is better to limit the number of grafts taken out per day in order to maintain the quality of the results. 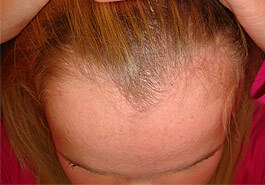 Those who need more grafts can be treated over two days. Beyond this, it is better to consider the FUT hair transplant method or to have more FUE procedures after a gap of say 6 months to 12 months. Why choose the Cellite Clinic for FUE hair transplant in Cardiff? The Cellite Clinic has been carrying out hair transplant for over 15 years with impeccable track records. We are easily accessible by all transport thanks to our location in Cardiff City centre. Cellite Clinic is owned by Dr Harryono Judodihardjo who has been performing hair transplant for over 15 years and who is a member of the International Society of Hair Transplant Surgeons (ISHRS). You will see him for your consultation and he will be the doctor who will perform your surgery. If you have any problem or questions after your surgery, you can call him directly through his mobile number. So you can be sure that you will be looked after very well, before, during and after your surgery. This is in contrast to a lot of other hair transplant clinics that are owned and run by business people whose motive may not be in the best interest of the patient. These clinics employ doctors and often change their doctors from time to time. Therefore even though these clinics might be in existence for many years it does not mean that the doctors they employ have as many years of experience. Cellite Clinic is well known for the quality of the treatments and medical care that are provided. Cellite Clinic does not compete with other clinics on surgical fees. Cellite Clinic does not negotiate fees or tempt you into having surgery with discounts or offers. Cellite Clinic believes that hair transplant is a medical procedure and as such you must only have the surgery when you are ready and have a need for it. Once you have had your consultation you can be sure that you will not be contacted any further by the clinic to pressurise you to have the surgery. Cellite Clinic does not employ sales people. When you make an appointment for hair transplant, you will be seen by the experienced hair transplant surgeon Dr Judodihardjo who will be doing your hair transplant. The benefit is that the doctor, who is bound by the General Medical Council ethics, will advise you on what is actually best for you. If you see a sales person, who may be on commission, you might not be given the same honest opinion as it is the job of the sales person is to sell you the service. You may be promised a lot more than what is possible or sold a lot more than what you actually need. Cellite Clinic charges according to number of grafts needed. One graft may contain one to five hairs. A lot of patients are surprised when they are informed by Cellite Clinic that they need fewer grafts than what other clinics told them. This is because Cellite Clinic counts the number of grafts carefully and do transplant the number of grafts as agreed before the surgery. 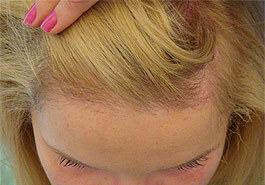 If fewer grafts are actually transplanted during surgery you will be refunded the difference in fees. However if more grafts are harvested than as originally intended, all of the good grafts will be transplanted (not thrown away as done by some clinics!) and you will not be charged extra for these grafts. What should I do next if I want FUE Hair Transplant?